Richard Miller - Ania gets the job done! Richard B. Miller, II was born in Cherry Point, North Carolina. Richard graduated from the University of South Carolina with a Bachelor of Arts degree (1988) and a J.D. (1991). 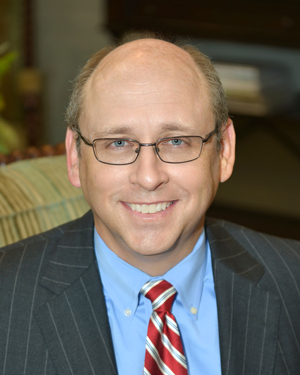 He began his career in insurance defense litigation before entering into the practice of real estate law. Richard’s practice includes the representation of purchasers, sellers, lenders, developers, investors, and relocation companies in a variety of residential and commercial real estate transactions. Richard believes it is important to support our industry partners and does so by actively participating in local chapters of the National Homebuilders Association and the National Association of Realtors. He has also served as Chair of the Budget Committee for the I-85 North Corridor Board of Realtors; Associate Director for the Jackson County Builders Association; Chair of the Finance and Budget Committee for the Jackson County Builders Association; and the Membership Committee for the Atlanta Chapter of the Women’s Council of Realtors. Richard and his wife, Kris, live in Sandy Springs and have four children. Richard also serves on the Governance Council of Dunwoody Springs Elementary School. Admitted to bar 1991, Georgia.